There is a great deal of dissatisfaction among many United States State medical licensing authorities with the existing mechanisms of medical school evaluation. Several events have caused this. First, the Hartford Courant published a series of several articles in June and July 2003, which listed schools by the percentage of their graduates that had been disciplined. Most State medical boards had relied upon widely believed presumptions that could no longer be without question. A second source of upset and discontent arrived when new medical schools promised distant learning by computer. One school promised an eight-week orientation followed by computer training in the comfort of a student’s own home. Students are required to find a physician to serve as their preceptor. Boards feared graduates of such programs would be eligible for ECFMG certification. A measure of State Medical Board dissatisfaction may be found in a motion made by ten states at the Federation of State Licensing Boards annual meeting on April 20, 2004. It passed and was adopted; “Resolution 04-5; Resolved, that the Federation of State Medical Boards charge an established committee or create a special committee to; 1. Study and evaluate the problem of lack of accreditation standards for international medical schools, 2. Develop recommendations to state medical boards as to the best method of classifying international medical schools, including identifying which organization is best suited to take on the role of evaluating the quality of international medical schools, and 3. Report its findings and recommendations to the House of Delegates for adoption as public policy.” The committee was named and it has met on one occasion. The President of the Association of American Medical Colleges (AAMC) and its former Vice President and Co Chair of the accrediting Liaison Committee expressed dissatisfaction with the approval given by four states to foreign medical schools enabling them to conduct clinical training. Their comments were carried in this nations most prestigious medical publication, the New England Journal of Medicine. The essence of that article was that States do not have the capacity to evaluate foreign medical schools. Last July the Foundation for the Advancement of International Medical Education and Research (FAIMER) forwarded a letter announcing a joint venture with AAMC to study the educational experiences of US citizens who graduate from international schools. 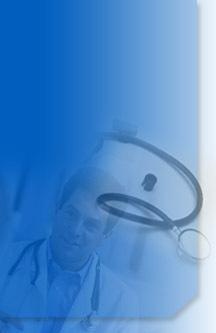 FAIMER is a wholly owned subsidiary of the Education Commission for Foreign Medical Schools (ECFMG). The reasons given for this study was the marked increase in the number of US citizens studying abroad, “little is known about their educational experience” and to more thoroughly understand their foreign school programs. On September 16, 2004 Dr. James Hallock, President of the ECFMG, appeared before the US Department of Education’s National Committee for Foreign Medical Education and Accreditation (NCFMEA) and told the committee members; “We wish to get a handle on, from the AAMC’s perspective, a handle on what’s going on in the majority producer schools for the US.” This letter is addressed to each of the non-LCME accredited medical schools that have been approved by a State to conduct clinical training within its borders. All schools have students that are citizens of the United States or wish to train or eventually practice medicine there. Both Ross University and St. George’s University conduct two years of clinical training in the United States. They applied to the LCME for accreditation. Unfortunately, the LCME has determined it will not consider any medical school for accreditation unless it has been chartered in the United States. In consideration of the above, St. George’s University invites two representatives of each school to a luncheon meeting in New York on either March 17th or 18th, 2005. It is our intention to meet at the United Nations. The basic purpose of the meeting will be to discuss and consider establishing an International Association of Medical Colleges. I have talked to various representatives of Ross University, American University of the Caribbean, St. Matthews University and Saba University. They have all expressed an interest and a willingness to participate in such an Association. There are several fundamental principles that have been suggested and appear acceptable to this group. The IAMC would use standards adopted by the World Federation for Medical Education entitled, “Global Standards for Quality Improvement”. IAMC would follow established review/accrediting procedures in its evaluation of any medical school in the world. IAMC would serve as an outside, objective, body of expert evaluators/accreditors. The objective would be to report to any school its compliance with the adopted standards. Should the school consent its application and Association findings will be available to any authorized person or agency. The basic global standards would be further elaborated to allow any person or applicant to understand the meaning of any general standard. The entire process would be known, open and visible to all. The staff would be established, recognized accreditation experts. The Association expenses would be equitably borne by its medical school members in accordance with the numbers of its matriculating medical students. The Association will be governed by a democratic process. The Association will apply for UN recognition as a Non Government Organization after it is established and qualified. Thomas Monahan, the Executive Director of the New York State Medical Board will be present to address the issue of feasibility of such an Association, point out decisions that need be made by those who wish to go forward. A few other persons who are expert on Global Medical Education have been invited to witness or participate as they may chose. At the moment the meeting date will be one of two dates. I wish to determine if your medical school will participate at this organizational meeting by sending two persons authorized to commit your institution to this Associations future course. Further meeting details will be provided to those who promptly advise of their intention to appear and participate. Should anyone wish to inquire further; call 239 513 9874, or fax 239 513 9874, or e-mail bfergusonjd@earthlink.net.